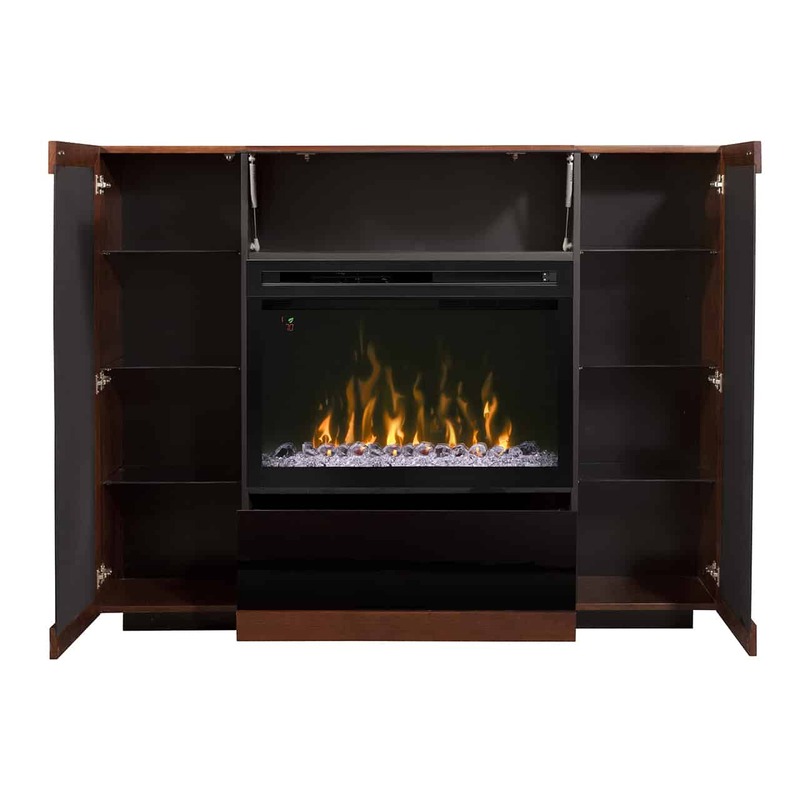 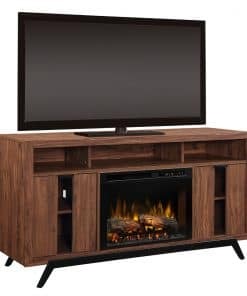 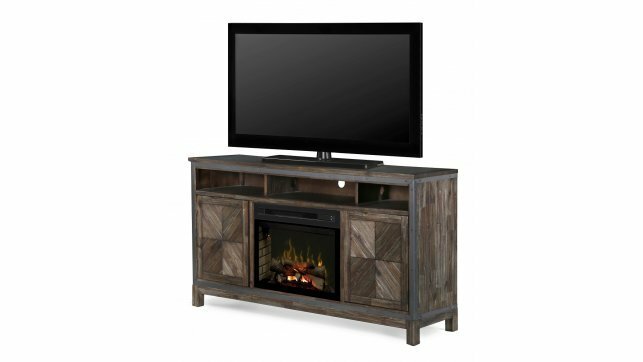 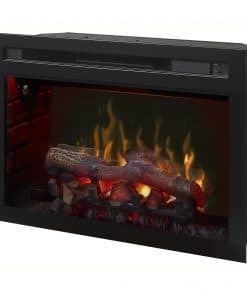 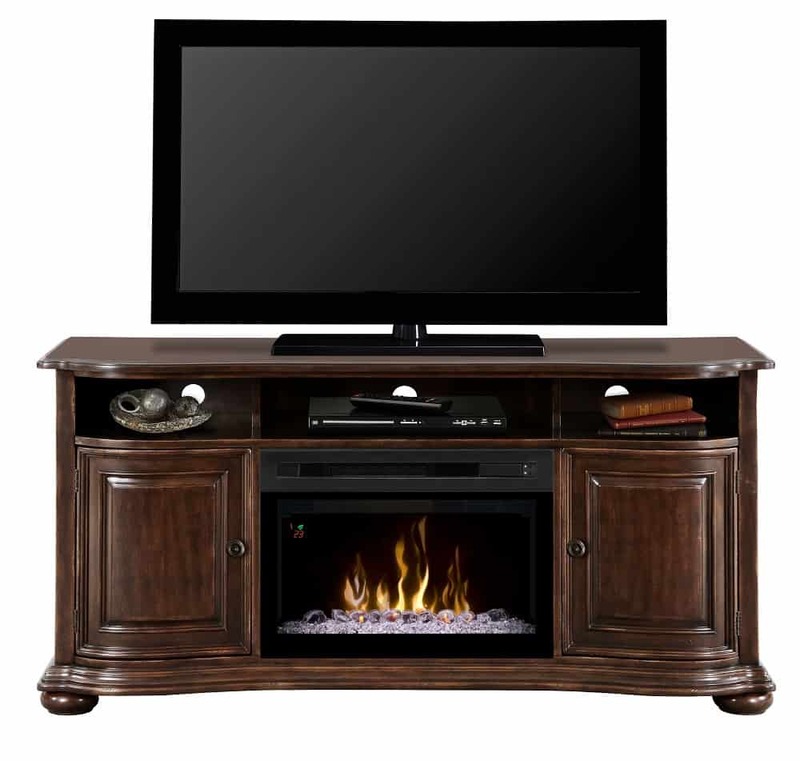 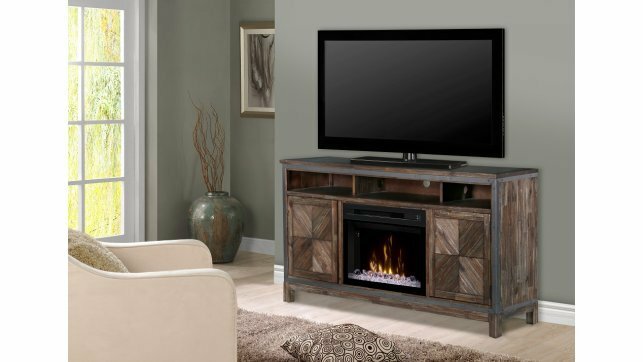 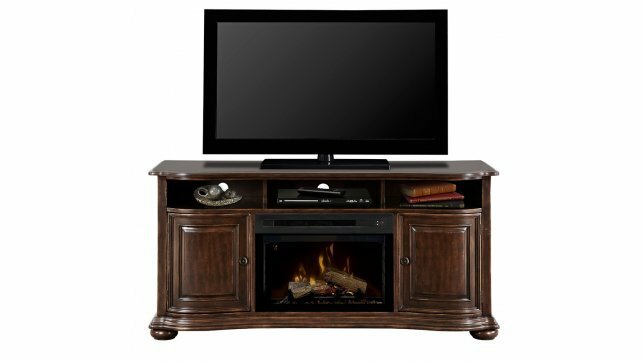 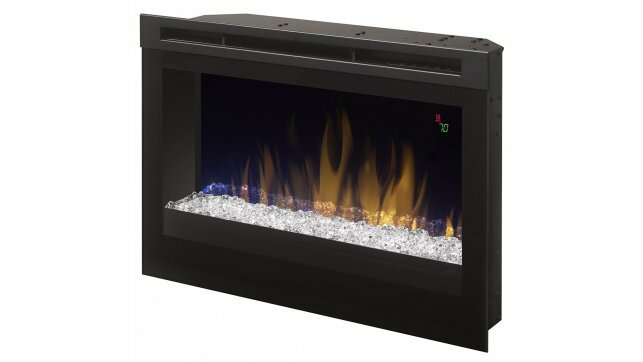 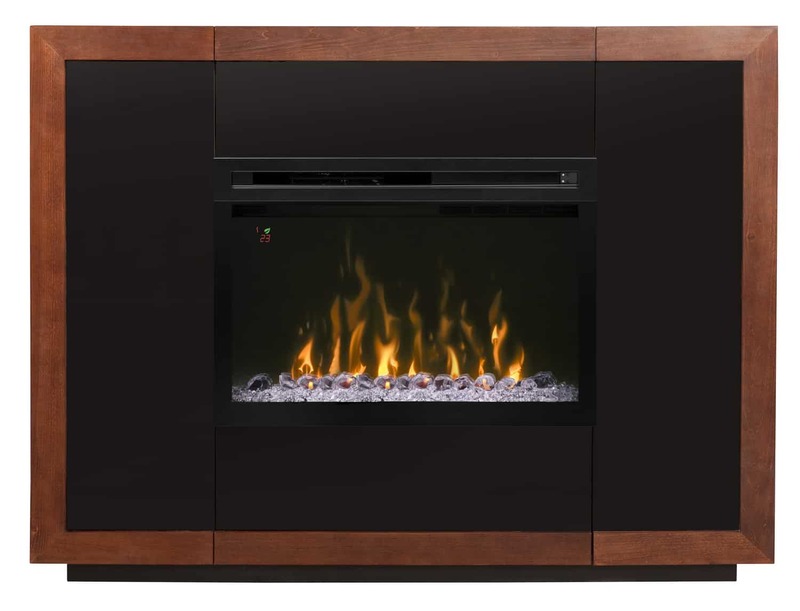 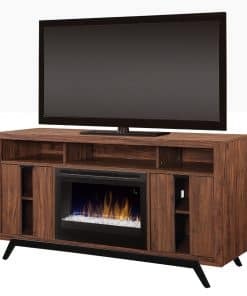 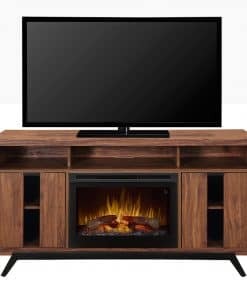 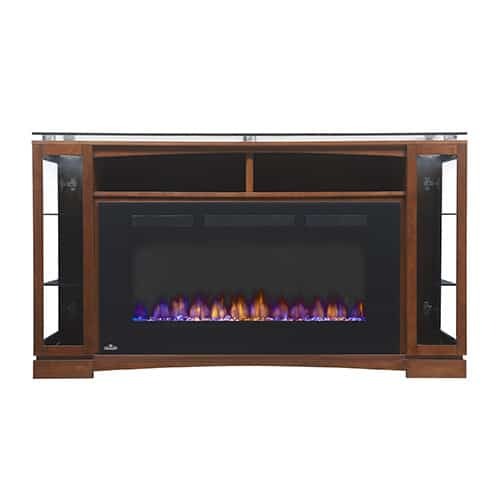 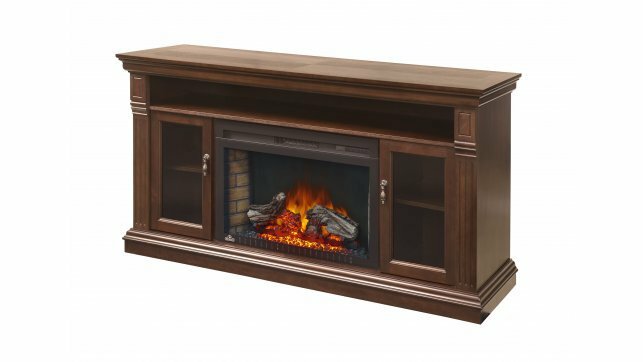 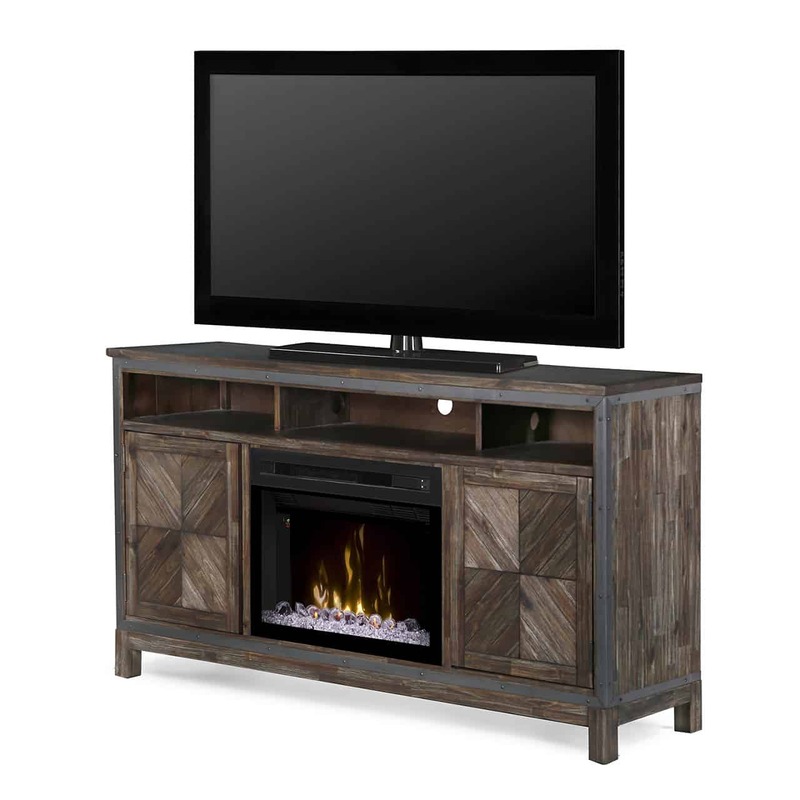 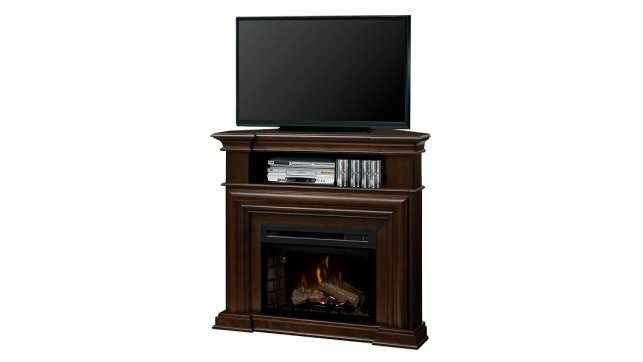 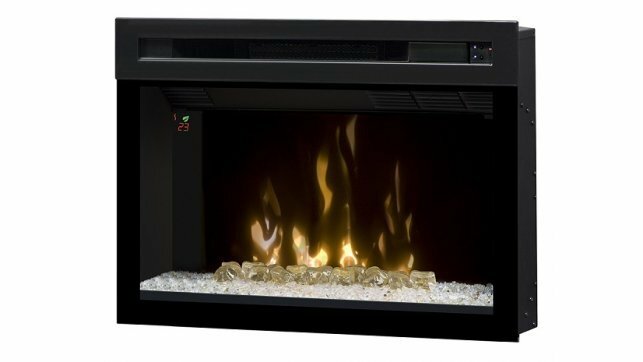 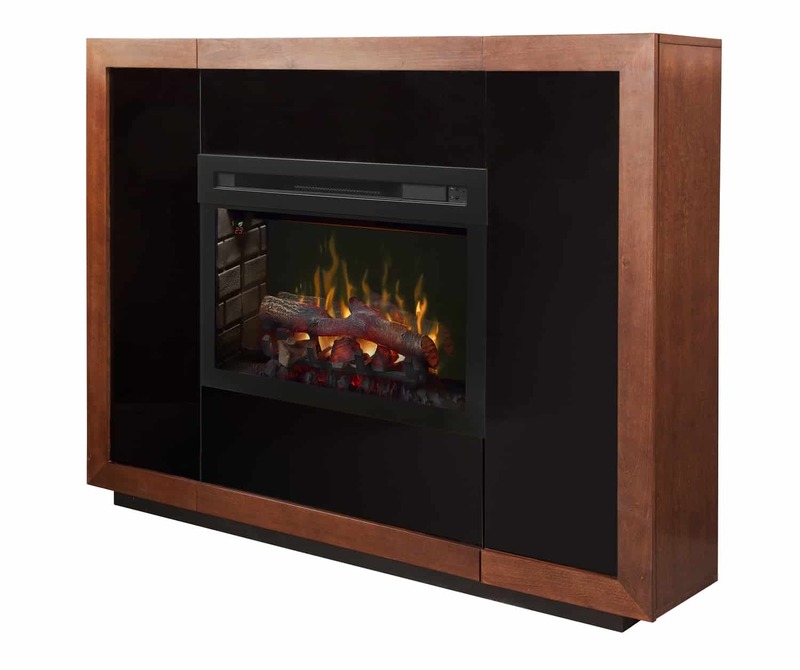 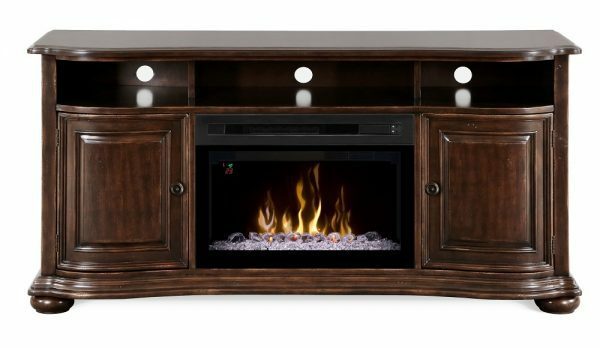 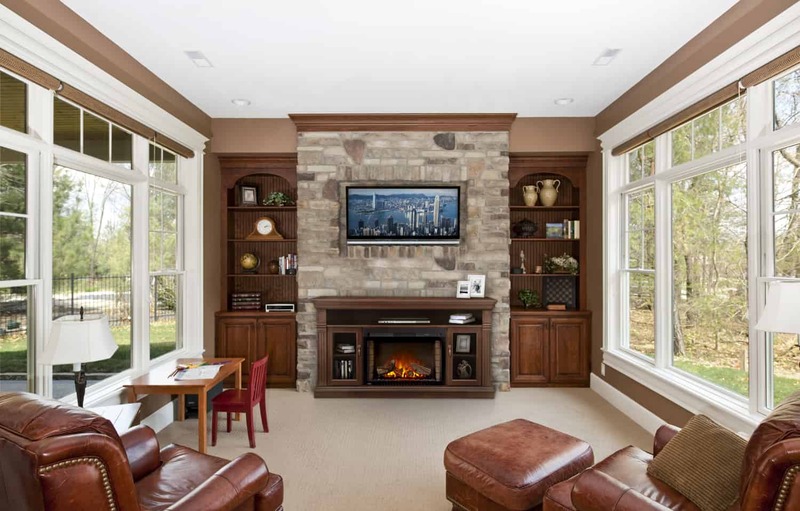 The Dimplex Henderson media console with PF2325HL electric fireplace insert features an elegant shape that highlights the distressed deep cherry finish. 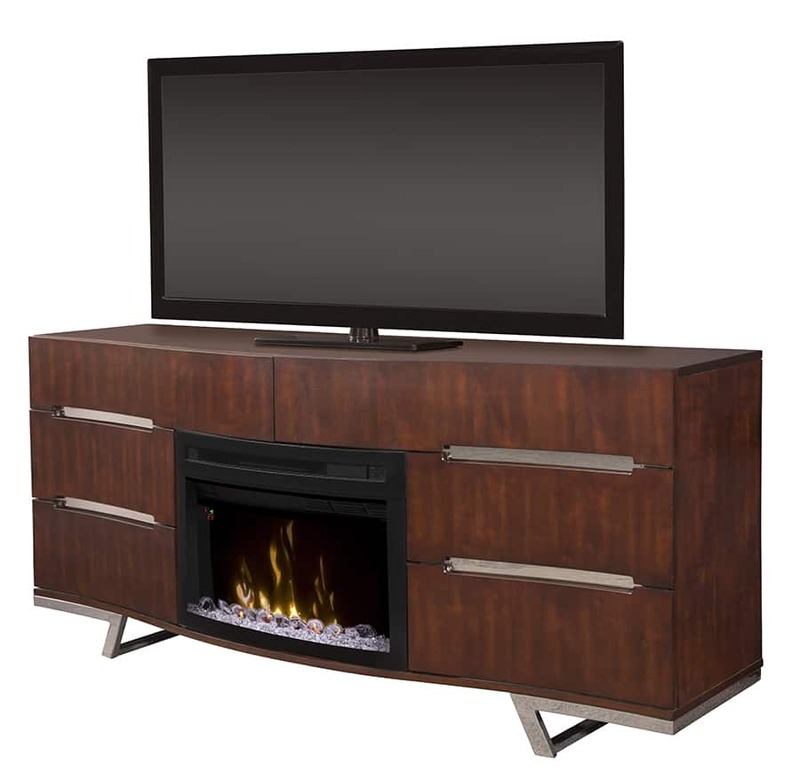 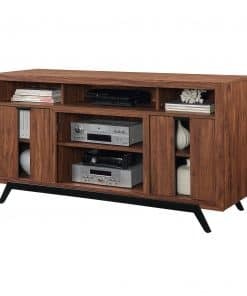 The graceful curve of the Dimplex Henderson media console follows the convex doors, serpentine top and bottom, and large bun feet. 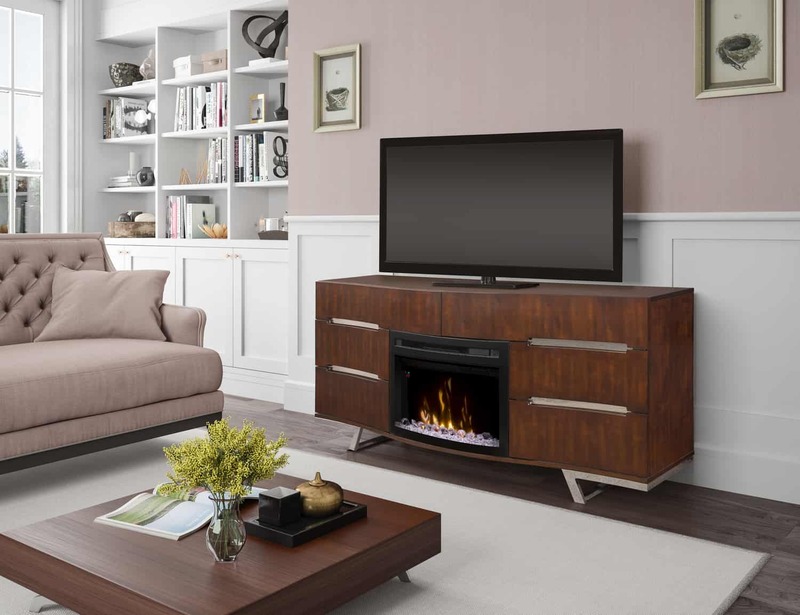 Adorned with antique brass handles, the doors on the Dimplex Henderson media console open to reveal an adjustable shelf on each side for additional storage. 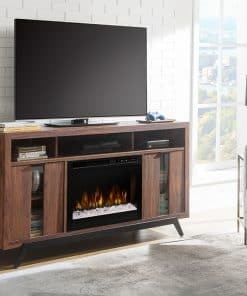 Realogs™ — Molded from meticulously selected and charred hardwood and positioned to maximize the illusion of depth and the appearance of burning firewood. 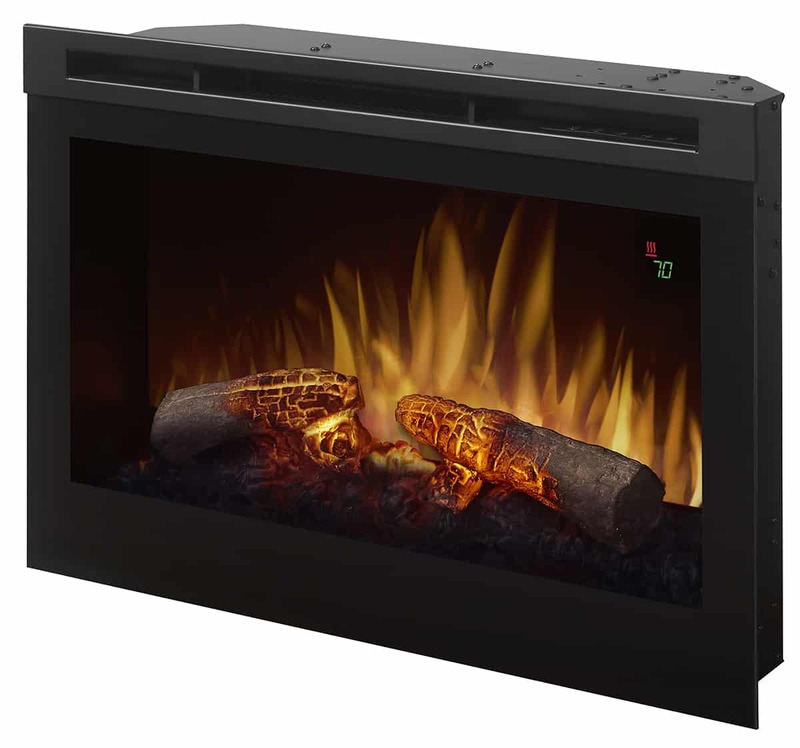 Floating Display™ – On-screen display shows temperature and feature settings at a glance.